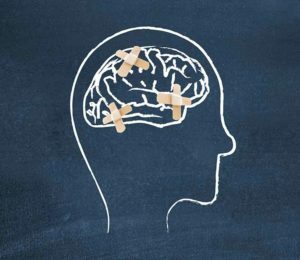 Home » What Causes Brain Damage? Brain damage can occur in one of several ways. It can occur as a result of some sort of trauma to the brain itself and the object entering through the skull and entering the brain. It can occur as the result of an impact without anything entering the brain. A brain injury can also occur as a result of lack of oxygen to the brain, as can occur during birth injury or drowning, or something to that effect. Brain injury is often called the silent injury because it’s not obvious to those around you like a broken bone or the loss of a limb would be. A brain injury can have a long-lasting and life-changing impacts upon you and upon those around you. It’s important, if those injuries are caused by someone else or by the negligence of another, that you talk to experienced legal counsel who can help you get justice and help you get compensation for the harms that have been done to you. A brain injury can have an enormous, long-lasting impact on the day-to-day life of the victim. While the effects are still not entirely understood, brain injuries are extremely common. In fact, the Centers for Disease Control and Prevention (CDC) reports that as many as three million people suffer brain injuries in the United States annually. Brain damage occurs when an injury, illness, or other medical condition either destroys brain cells or causes them to degenerate. Brain damage can manifest itself in many different ways. The long-term effects of brain damage will depend on the severity of the injury, the part of the brain impacted, and the ability of the victim to receive proper medical care and rehabilitative treatment. Trauma to the head: Trauma or ‘blows’ to the head cause many brain injury cases. A violent collision can cause a person’s brain to shift inside of their skull, thereby causing a significant amount of damage. Notably, it takes less impact than most people realize to cause a concussion. Objects penetrating the skull: A penetrating object can also cause a brain injury. When this happens, it is always a serious medical emergency. Depending on the nature of the impact, it could even lead to a permanent disability or death. Lack of oxygen to the brain: Lack of sufficient oxygen is another common cause of brain injury. Even a short time without oxygen can cause serious long-term damages. This can occur in many different ways, from swimming pool accidents to medical malpractice. Exposure to dangerous substances: Victims can also suffer brain damage after exposure to certain toxic substances. For example, a dangerous or defective drug could cause brain damage. In some cases, dangerous substances cause damage immediately, while in other cases it occurs gradually after repeated exposures. Medical professionals refer to brain damage as a ‘silent injury’. This is because the effects of a brain injury are not always obvious to the people who are around the victim. While a broken leg has clear physical symptoms, brain damage can be difficult to see. It can manifest itself in unique, confusing, and difficult to understand ways. In many cases, victims may even have trouble understanding their own injury. Yet, the pain of a brain damage is real — and the effects can be truly devastating. The impact can be long-lasting and life-altering. Victims often face a long road to recovery. To help them along this road, it is imperative that injured victims seek guidance from an experienced personal injury attorney who can help them obtain full financial compensation. Sean Olson is a compassionate personal injury attorney who has extensive experience representing victims in brain injury cases. If you or a loved one suffered a brain injury in an accident, we can help. To schedule a free, no-obligation initial consultation please do not hesitate to contact us today.